We’re excited to release Vague Recollection — 2018 Sangiovese & Tempranillo this Thursday at 4pm when the Tasting Room and Restaurant open. 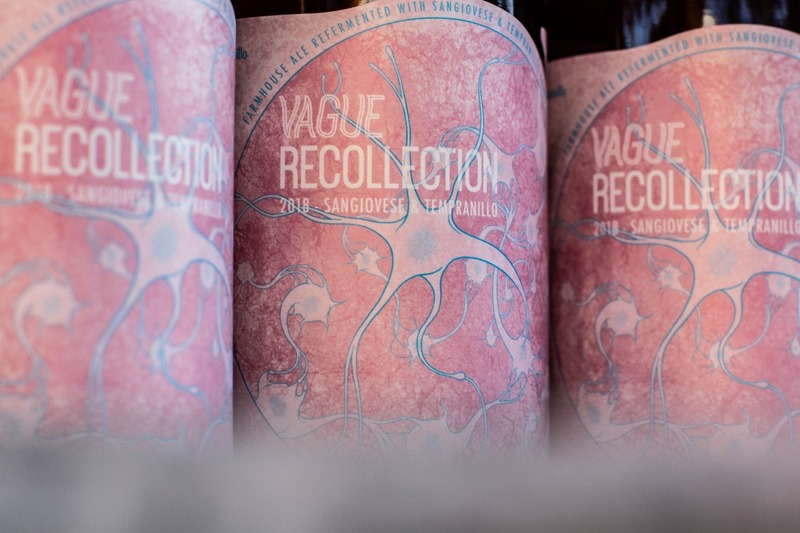 Vague Recollection is our farmhouse ale aged on the pomace of sangiovese and tempranillo grapes. 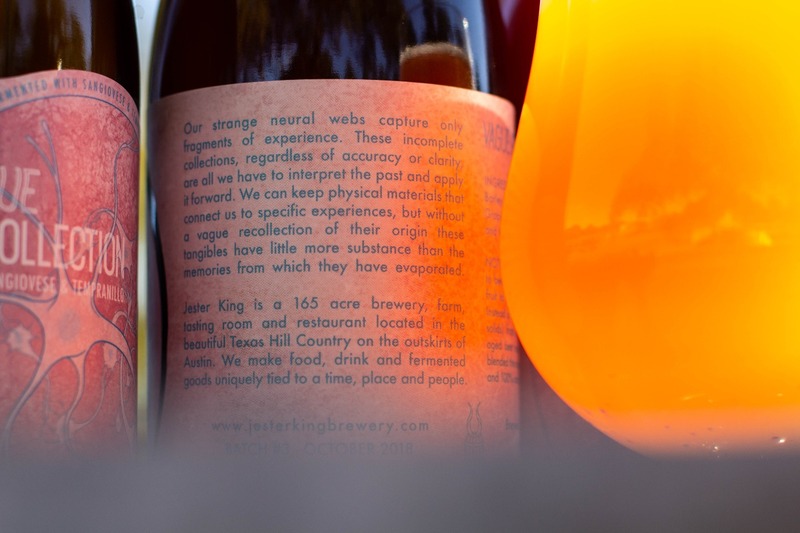 Here at Jester King, we are keen on taking the byproduct or waste from one beer and using it to make another. You can find this with our “spent” fruit beers like Detritivore (cherries), La Vie en Rose (raspberries), and Demitone (blueberries). For this beer, we used the leftover grape pomace used in Birra di Sangiovese and Cerveza de Tempranillo. The pomace is the skins, pulp, seeds, and stems left over after running the grapes through the crusher/de-stemmer. First we brewed Das Uberkind, fermented that beer in stainless steel, then aged it on sangiovese and tempranillo pomace for around one month. This beer was packaged in October and conditioned for 3 months in its vessel. Vague Recollection – 2018 Sangiovese & Tempranillo will be released this Thursday at 4pm. It will be available by the glass and in bottles to go (750mL/$18). We have around 6,000 bottles, and there is no bottle limit. We anticipate limited distribution of this beer.